There are a number of ways you can go about getting an MTHFR test. This article will help you work out how. It will also show you whether you really want to do that, or whether an alternative test is a better idea for you. Yes, you read that right: it may not be the best idea to get an MTHFR gene test. Is it just the MTHFR Test you Need? The main thing you need to decide is whether you want to know JUST about MTHFR, or whether you need to get the bigger picture with a broader analysis that tests multiple genes. You see, MTHFR doesn’t work in isolation. It is only one of several enzymes that process food folate into methylfolate to work in your methylation cycle. If one of those other genes isn’t working well, then it doesn’t matter much if you have great MTHFR function. So.. you need to decide WHY you want to be tested. If you are in very good health, eat well and are just curious about your MTHFR status then it may be worth getting MTHFR tested in isolation. It may also be worth testing MTHFR alone if you need it for a specific reason within the medical system. For example, to avoid being prescribed a drug that is inappropriate for a patient with MTHFR or to get blood-thinners prescribed when you’re in post-op. If you need your MTHFR results urgently due to a pending medical event, then isolated MTHFR testing is definitely the way to go too, as more comprehensive analyses take longer to process. Unless you fit into one of these categories, I generally recommend NOT bothering with isolated MTHFR testing. This is because most good practitioners can reliably determine based on symptoms and family history alone, whether you have a methylation problem. The MTHFR test may confirm that, but it doesn’t really offer any extra information. You see, MTHFR is only one enzyme in a very complex system that converts folate into methylfolate. If you look at the whole methylation cycle, there are even more enzymes involved. If you have a perfect MTHFR gene, you may still have major problems with methylation or with creating methylfolate if one or more of the other enzymes are involved. Conversely, you might have terrible MTHFR mutations, but if the rest of your folate-related genes are fine you might not have a problem at all. Each enzyme in the folate pathway and methylation cycle performs a different function. Each enzyme’s function can be optimised by correct diet, lifestyle and supplementation. But we can’t do this if we don’t know which enzymes are not functioning well. A good practitioner can tell that there is a problem with methylation, but what we can’t tell from symptoms alone is where the problem lies. We can’t tell which enzyme/s are not working well. And if you test for MTHFR mutations, and nothing else – well you might be missing some critical information to help guide your decisions. In the vast majority of cases there are more than just MTHFR gene mutations at play. Given that the cheapest MTHFR test I have ever heard of is $65 AUD and a comprehensive genetic panel can start from $129 AUD (during regular discount periods) I think it is almost always worth paying the extra amount to get a comprehensive panel done. That way you get results for roughly 400 gene mutations, including the MTHFR gene. Even if you have to save up to afford the extra, it is usually worth saving the $65 or so dollars on the MTHFR test in the meantime. Sometimes people come to me for treatment with an MTHFR result that they have paid good money to get – and I have to send them off for comprehensive genetic testing in order to be able to know what is going on with them. Of course, since the comprehensive testing includes MTHFR as well, most people don’t like the fact that they wasted money on the MTHFR test in the first place! But whether you want to go for MTHFR test alone – or go the whole hog and get a big picture – is entirely up to you. So …. Let’s say you’ve decided that you don’t need a comprehensive genetic panel. That’s fine. So how do you get the MTHFR test then? If you’re not in Australia, I suggest you start by asking your local primary care physician, paediatrician, or obstetrician if they can order a gene test that is covered by insurance or your country’s public medical services. If this can be done for free, then it may be a great idea to get isolated MTHFR testing, particularly if money is tight. Lab Corp is one such company in the USA that can test for the MTHFR defect with a script from a physician. Insurance will sometimes cover this test. If you can’t find a doctor to order a test for you, then a comprehensive panel may be your best bet. In Australia, you can go to your GP and ask them to do a blood test for MTHFR gene analysis. Ask them to include A1298C and C677T mutations. Are you eligible for a bulk-billed MTHFR test? If you have one of these two things written on your request form, and the doctor ticks the “bulk bill” checkbox, then your test will be covered by Medicare and cost you nothing. Check with your doctor for the latest information about Medicare covering this test. There may be other situations in which it is completely bulk billed. 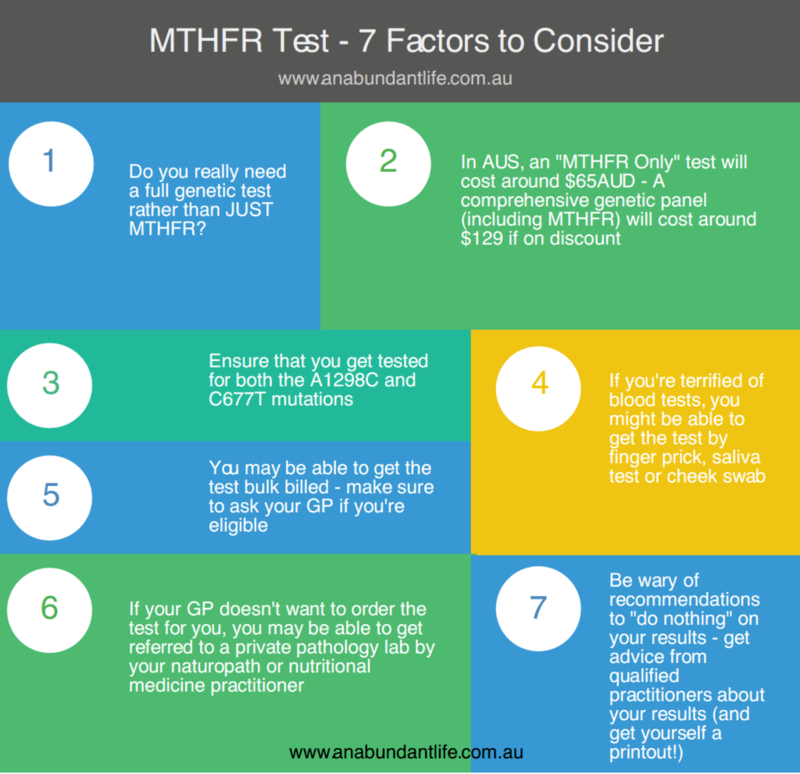 Otherwise – How Much Does the MTHFR Test Cost? If you don’t have proof of a first-degree relative with the mutation, or positive history of DVT, then last I checked the test will cost around $65, depending on which lab is used. This means that it’s best to only test one family member first. Then after you get results, other 1st degree relatives can be tested for free. 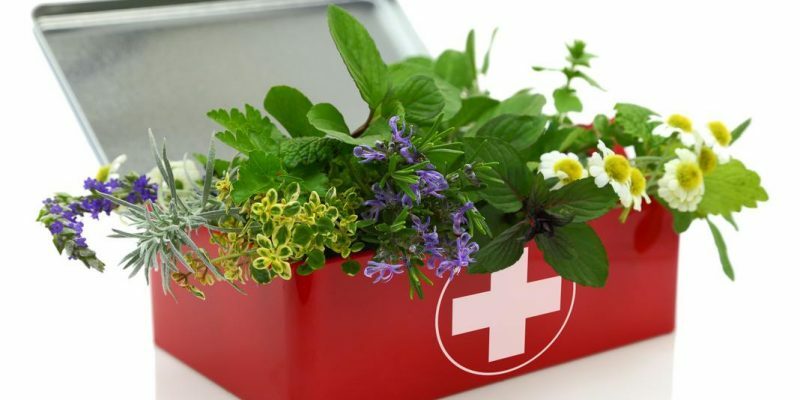 If you are working with a holistic practitioner already they probably have some basic blood tests that they would like to get covered to see how the gene mutation is affecting you. At a minimum I always want to check the B12, folate and homocysteine level of each patient who is having issues with methylation. For that reason, unless you love having a blood test done, speak to your practitioner before getting blood drawn for the MTHFR test – especially if it’s for a child – so that you can have blood drawn for other tests at the same time. You may need to have a consultation with your practitioner to get a test referral, as symptoms and family history determine what needs to be tested. 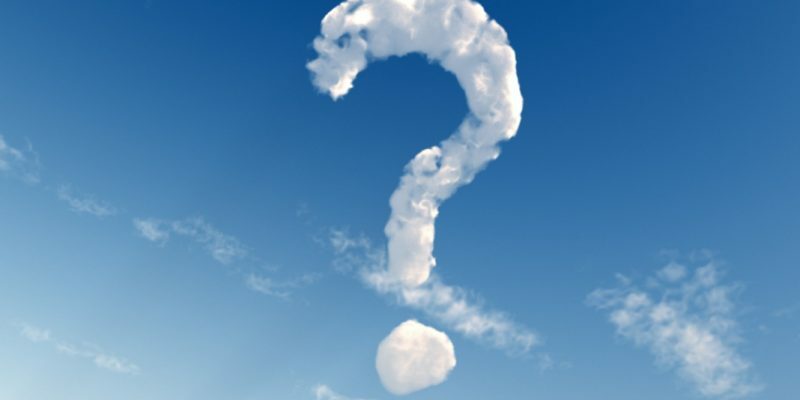 What if your Doctor Doesn’t Want to do the MTHFR Test? If this is the case, you can still get tested through a private pathology lab such as Nutripath or Integrated Health. This usually requires a referral from a health care practitioner such as a naturopath or a nutritional medicine practitioner like me. I am not aware of any single MTHFR gene tests that you can self-refer for in Australia at this time (in other countries this may be different). If you can’t find a way to get an isolated MTHFR gene test, the good news is that the comprehensive genetic panels I recommend are all self-referred (i.e. you don’t need a cooperative doctor) and all include MTHFR genes. What if I’m terrified of blood tests? Certain private pathology labs can perform MTHFR Tests using finger prick, saliva test or cheek swab. These all require private referral so check with your practitioner if you need this as they are not available on Medicare. 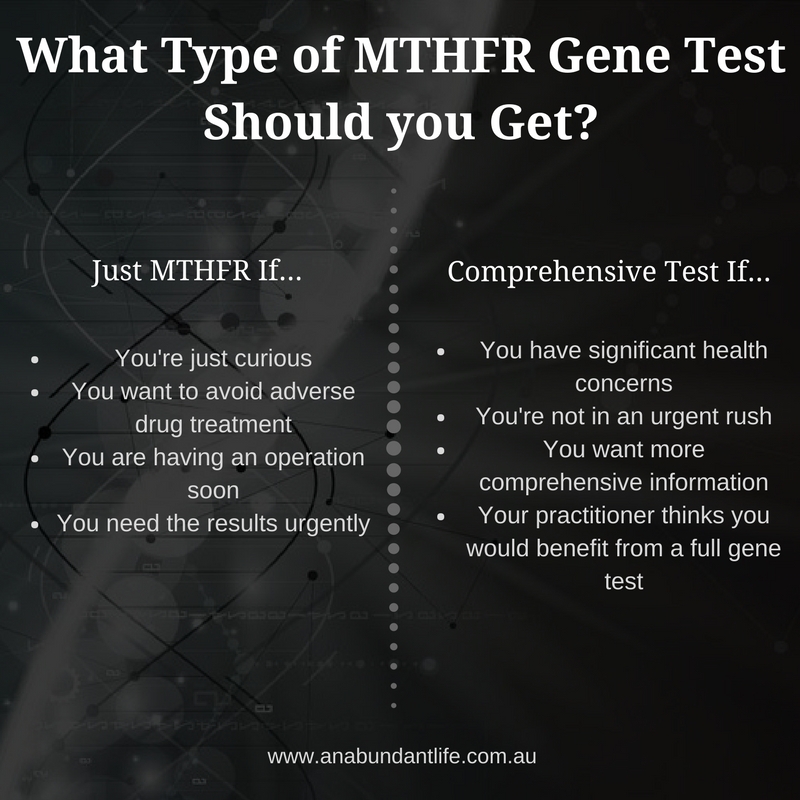 What will you face if you ask for the MTHFR test at the doctor’s? Some people are nervous about asking their doctor for a gene test which is a bit out of the norm. Possibly your doctor will not know anything about MTHFR or may be dismissive. Getting tested should be easy enough, though some will refuse. Some doctors have told my patients that a genetic counsellor would contact them if there was a genetic problem. Initial testing can all be done by the GP at this point. It doesn’t matter if the doctor hasn’t heard of the defect – they can still order the gene test. If your doctor doesn’t want to test though, please respect that. Mostly I have only heard of good reports from people asking their doctor to look into gene testing. 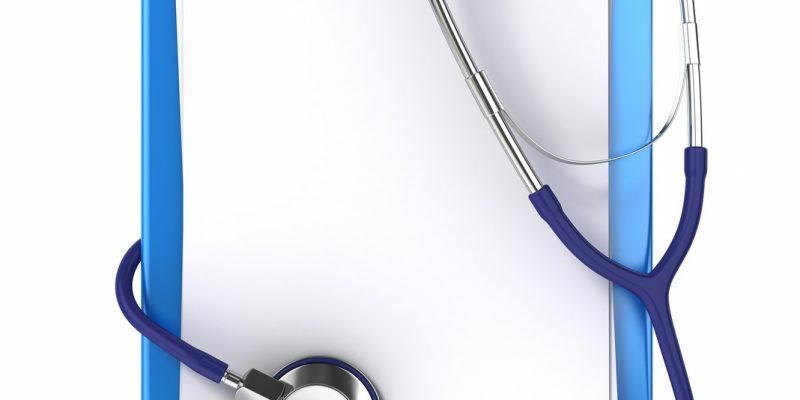 Most doctors are practicing because they are interested in scientific enquiry and helping people, and a good number of doctors are very interested in genetics and nutritional medicine. If you have one of these, please work with them and offer more information if they request it. We need more doctors who are MTHFR-literate. Unfortunately the standard recommendations on medical databases ranges from “do nothing” to advising the patients to take large quantities of synthetic folic acid. This is unfortunate because people with MTHFR defects can’t process synthetic folic acid and it should be avoided. Treating methylation issues is outside of the scope of most mainstream doctors, unless they have done extensive additional training. It is best to work with a nutritional medicine practitioner or naturopath who is well-versed, not just in MTHFR, but in methylation and nutritional genomics. The good news is that when you work with such a practitioner, having an MTHFR defect is not an omen of ill-health to come. You can live a long, healthy and happy life while learning to optimise your environment, diet and lifestyle so that this gene mutation doesn’t cause you any problems at all. Stay tuned for the next blog post in this series in which I discuss how to get a comprehensive genetic panel done to get a bigger picture of your personal biochemistry. MTHFR Gene Mutation (A1298C) : Mutation not found. MTHFR Gene Mutation (C677T): Mutation not found. But had already started the protocols methyl folate, B12 B6, B2 no folic acid, and started to feel better. Seems there more mutations I should get checked, is that correct? Sometimes you should dig further if you are unwell, but between blood tests, a good case history, stool tests if needed for gut symptoms – you don’t always need to test genes, especially if you’re doing well. You can check B12 levels with blood, but blood folate isn’t all that reliable, so his specialist is right about that. Yes that does sound like quite a lot for a 9yo, especially if introduced too suddenly. Also doesn’t quite sound like enough B12 to cope with the MTHF. Folinic acid is less likely to cause problems, and is only absorbed at half the rate, so the 1000mcg folinic acid on its own may be ok, but adding the extra tab of MTHF likely pushed him over the edge. In this .. o spent more than my whole yrs private health cover on 2 appts & a stool test & you can’t ask a thing without waiting months for an appt @ paying min$ 250. Is there anything to be done that’s with someone knowledgeable. ?? Sorry to hear you’ve had this experience. Integrative Drs tend to be much more expensive than naturopaths or nutritionists, and since they have not got a degree in nutrition (only self-taught in that area usually) they are often not as well informed in these issues either. If you tell me where you live I will see if I can refer you to someone good in your area.